The British Virgin Islands offers a sound business environment for both local and foreign entrepreneurs. It is an excellent advantage to have territorial knowledge on the ins and outs of doing business within the British Virgin Islands to minimize challenges. Obtaining trade licenses, establishing a credit presence, and understanding both business and local culture are among the things that an entrepreneur needs to know to form their business foundation within the British Virgin Islands. The British Virgin Islands Government supports e-commerce as a result of recent acknowledgment that stores were either lost or damaged due to the recent hurricanes, Irma and Maria. With the lack of a physical store, small to medium enterprises needed a way to get their products to their customers. 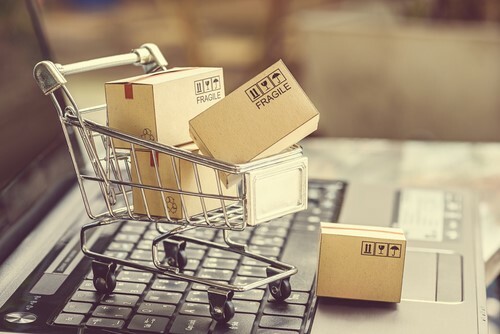 Switching to an online store mitigated the effects of losing a storefront and provided another method for entrepreneurs to maintain their business. Online business is a great opportunity for both budding and seasoned entrepreneurs. Any business that offers products needs a way to get these products to the hands of their customers. Online stores are no exceptions. Evolution in technology has paved the way for better online transactions and has opened new methods in conducting online businesses. Enter the Dropship Model. Drop shipping has gained popularity as a business system for entrepreneurs since it can be started without the need for significant funds. • An entrepreneur finds a supplier for the product they want to sell. • The entrepreneur creates an e-commerce website where products are shown, and orders are documented. • The entrepreneur sends these orders to the supplier. • The supplier processes and completes the orders including product delivery. A good entrepreneur understands logistics and uses it to its full advantage. Various sources information about e-commerce tools and trade tips can be found online. Check out journalreview.org top ideas as it contains articles that are very helpful to the business-minded individual. Target Market. Knowing your intended customer demographics can help you narrow down the products you want to sell. • Product. Go for a product that you believe in and can be passionate about. You can either place this on top of your list before target market or start with studying your target market first. • Profit. The simplicity of a dropship business model is that the amount of work you put into selling a product is consistent regardless of the product’s price. Consider higher-priced products for your target market to maximize your profits. • The right supplier. Exert a considerable amount of effort to find the right supplier. Prioritize quality and shipping costs when looking for a supplier. Too high a shipping cost will make your customers hesitant. Consider products that are easy and cheap to ship. • Study similar businesses. Competition will always be there, and it never hurts to understand what makes them successful or what caused them to fail. Staying on the safe side by selling products with little to no competition may not be a good way to go, as there are reasons why there is less competition for a particular product compared to others. Products with a lot of competition mean it is highly sought after and could increase your potential to sell. • Invest on your e-commerce website. Simplicity is always a good starting point since the majority of customers want easy transactions. A well-organized site and a secure checkout process equate to great customer experience. • Adapt and stay on your toes. Business trends can change in an instance. Always bring your A-game to make sure that you are on top of everything. Gather relevant data and use it to better your business and improve customer experience. Join business seminars and conferences to expand your knowledge and gain new contacts. Set reasonable goals and set new ones after you have achieved your old goals. A drop shipping business is one of the best online business opportunities available today. You can work from anywhere as long as you have internet access. You can conduct business from the comforts of your home. You can monitor your activity while enjoying a cup of coffee inside your favorite coffee shop. Add your smartphone or tablet into the fray and complete mobile transactions. Anything is possible. You define your limits.